Adding dronevideo and photography can be a great addition to your wedding package. It will add a very cool dynamic to your wedding day and often become a highlight for guests. If you want something to add drama to your end product, then this could be exactly what you are looking for. 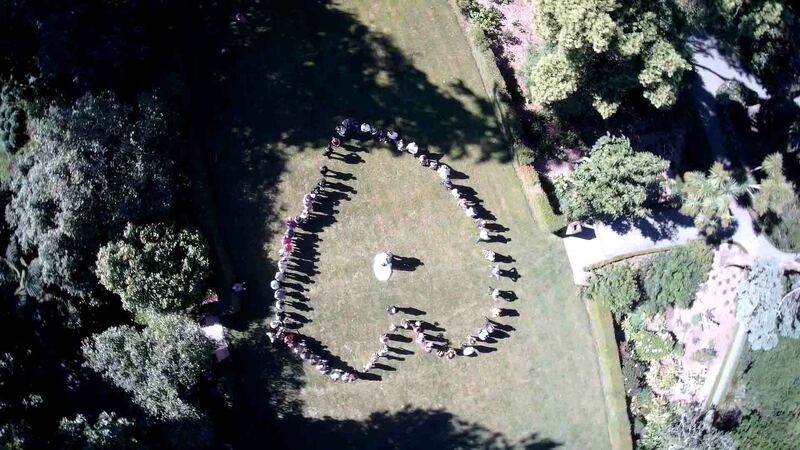 From giant love hearts and group shots to stunning images and video of your venue really does add a unique element to highlight your wedding video. Adding this unique feature to your wedding day lets us capture the nuances of your day from every angle. Featuring stunning aerials of New Zealand’s most remarkable landscapes. Places such as Lake Taupo, Queenstown or Wanaka take center stage in your final product. Showing off the terrain in which you were wed to family and friends not only in person, but in your video as well. We can use our drones to personalize your imagery and show panoramic views of your vineyard, beach side wedding etc. Below is some examples of work using drone and the picturesque scenery it captures. Adding an extra element to your wedding video, you certainly won’t be disappointed. Our team are just waiting to hear from you! Send us through an email at info@nuancephotography.co.nzWe are always ready and available to hear about your wedding day. Book now!